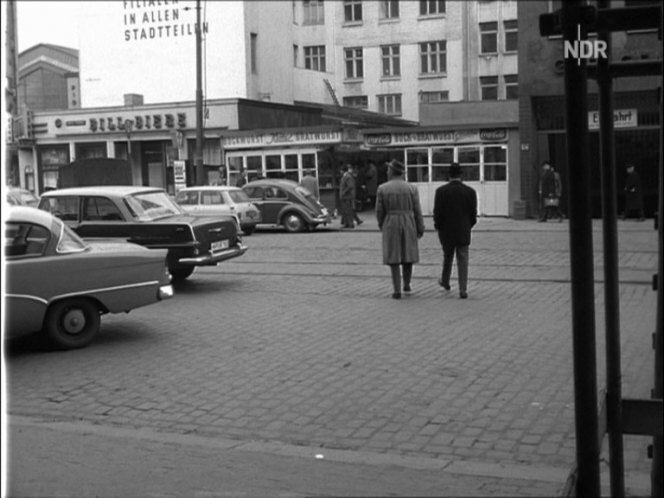 IMCDb.org: 1958 Opel Rekord [P] in "Stahlnetz - Das Haus an der Stör, 1963"
Anyone for the Mini in the background? Seems not having a German plate. Austin Seven or Mini de Luxe, pre-1963. Maybe the plate is Danish?